Do you need extra help for EL students? Try the Elections and Conditions pre-lesson. Class set of the article or tablets to access the article "How the President Is Elected"
VIDEO: "How to Read a Document: Source Identification"
Students will be able to compare and contrast a primary and secondary source and gather information about the topic. Display a picture of the White House and ask students to take out their whiteboards and write as many things as they can think of about the White House, who lives there, and what it represents. Allow students to turn and talk to their partners about their thoughts and have students share aloud. While they share aloud, write their ideas on the board. Confirm relevant ideas and correct misconceptions. Ask a student to read the student objective and circle the keywords on the board. Tell students that today they'll learn about how the President of the United States is elected by considering an excerpt of the Constitution. Explain that the Constitution is a primary source because it is a piece of information that was created or written by someone who witnessed the event firsthand or was part of the historical events that are described (i.e., the writing of the Constitution). Primary sources can be photos, journals, original documents, and newspaper articles from that time period. Explain that they'll gather information from the primary source and compare it to a secondary source, or a source that is an interpretation of the events. The person who wrote the secondary source was not there to witness the events. Some examples can include books, articles, and drawings about the historical events. Draw a T-chart on the board and share some examples that highlight the differences and similarities between the two types of sources (e.g., date the source created, author's tone, point of view). Ask students to share any other examples they can think of as you add details to the T-chart. Refer back to their original thoughts you wrote on the board whenever possible. Allow ELs to participate in the conversations in their home language (L1) or their new language (L2) and provide a word bank of terms they could choose to use in the discussions. Provide phrases or vocabulary terms they can help sort into the T-chart. Allow students to use a sentence stem when sharing their ideas. Ask them to reword the definition and key ideas about the White House and sources discussion. 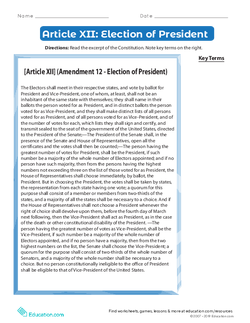 Display and distribute to each student the Article XII: Election of President worksheet and preview it with the students by asking questions like, "What do you notice about the text? When do you think it was written? Is the language formal or informal, and how do you know?" Look up some of the meanings of the words from an online dictionary. Model how to find information from the text and place it on the bubble map. Leave half of the bubble map unfilled and half of the keywords undefined for students to complete later. Ask students to copy your teacher markings on their own papers. Define the president as an elected official who runs the executive government. Mention that a president is elected, or chosen to be president, when the person gets the majority of the vote from the ballots, or pieces of paper on which voters enter their votes. Finally, make sure they understand that electors are representatives from each state that cast the final vote for president on behalf of the people of that state. 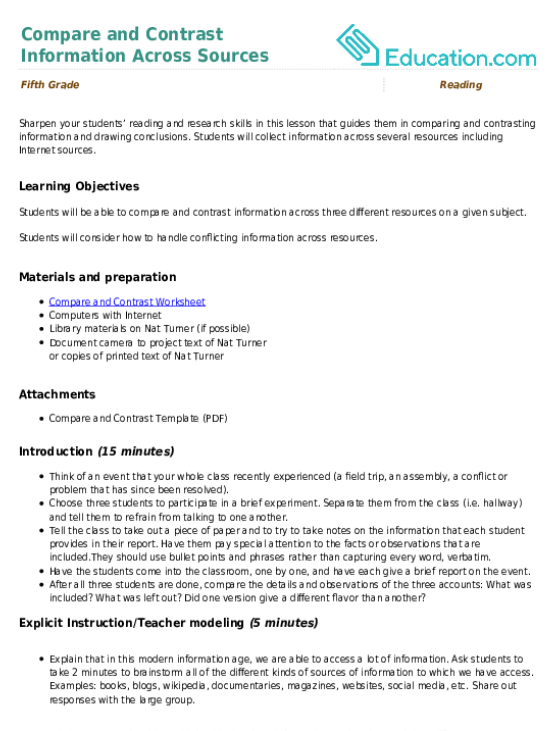 Pre-teach the following terms with definitions and visuals: "president," "Constitution," "primary sources," "secondary sources," "branches of government," "House of Representatives," and "Senate." Allow students to provide examples and feedback in their L1. Give them a partially completed bubble map with some phrases they can add to them. Provide a copy of the text to ELs and allow them to copy teacher markings. Ask them to say the vocabulary terms aloud as they highlight them. Display the online article "How the President Is Elected" and conduct the same preview you did on the Article XII worksheet. Conduct a discussion using the same questions. Distribute the Concept Web worksheet and ask students to copy your teacher markings while you model completing half of the web with details from the online article. Separate students into groups and ask them to finish both the concept web and the bubble map for the respective sources. When they're done, pair two groups together and ask them to present their graphic organizers to each other so that they can look for incorrect information or information to add to their own organizers. Conduct a brief whole-group discussion about the similarities and differences between the two types of sources. Model using comparative sentences from the Language Frames: Compare & Contrast worksheet and display the worksheet for their reference. Ask students to share their own comparatives sentences aloud while you write them on the board. Ask them to write two sentences on their graphic organizer papers where one mentions similarities and another mentions differences between the two types of sources. Choose two students' answers to highlight and provide examples and non-examples before they start their independent practice. Provide a worksheet that has partially completed information and a word bank as students follow along with the teacher markings. Provide a list of words students will write on the worksheet for assistance with spelling and vocabulary recognition. Give them sentence starters for their comparative sentences. 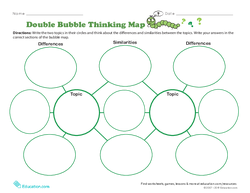 Distribute the Double Bubble Thinking Map and explain how to write the topics and similarities and differences for the two sources they evaluated today. Ask students to pay attention to the content surrounding a president's election from each of the texts and the way the authors wrote the text. By this time, they should know that there is more practical and specific information in the article, while the excerpt of the Constitution shows more of the rules regarding becoming president. Have the students complete the Double Bubble Thinking Map worksheet on their own, referring to their previous worksheets as necessary. 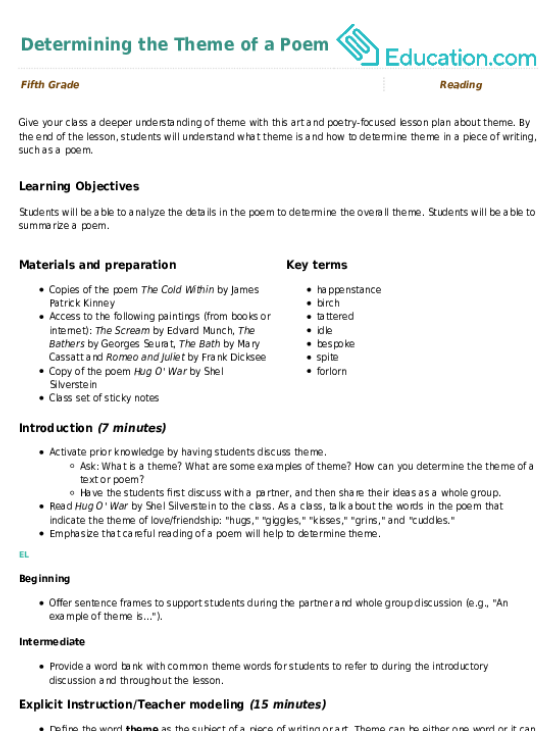 Supply a partially-completed bubble map or sentences for ELs to cut and paste into the bubble map. Allow them to share their answers orally if necessary. Have them share about examples and non-examples in their L1 or L2. Give them a word bank or header for each of the bubbles as hints to the details that go in each bubble. Provide vocabulary terms and some pictures of examples for non-examples to inspire their conversation. Provide visuals and definitions for difficult words from the article and the excerpt of the Constitution. Have students work in groups to gather information from both of the sources, but have them complete their own evaluations of the two sources. 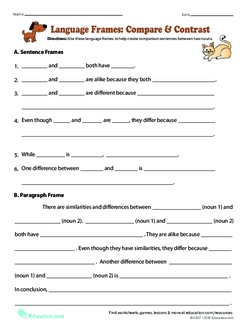 Allow them to use the Language Frames: Compare & Contrast worksheet to help them complete their spoken and written assignments. Allow students to listen to the "How to Read a Document: Source Identification" video (see related media) and complete a Double Bubble Thinking Map about the two sources from the video. Ask students to share their Double Bubble Thinking Map during the closing of the lesson. Allow students to use an online dictionary to look up the meanings of terms and see how the words connect to other words with a website such as Visuwords. Have students use a tablet or computer to access websites about presidential elections. Have students compare their Double Bubble Thinking Maps with their partners and make corrections as necessary. 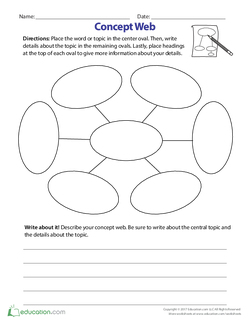 Distribute a lined sheet of paper to each student and ask them to consider their ideas from their Double Bubble Thinking Maps and write 3–5 sentences sharing the similarities and differences between primary and secondary sources. Assign sympathetic partners or partners that speak the same L1 so they can share their ideas in the language of their choice. Provide sentence frames for students' discussions and writing. Ask students to share their bubble maps using sentence starters. Allow them to share their answers with a partner before writing them down. Then, ask them to meet with the same partner to read the written response. Ask students to read their writing to their partners, then come together as a whole group and answer questions about the sources. For example, ask them, "How can a primary source document be helpful? What are the benefits of using a primary source document over a secondary source, and vice versa?" Allow students to share their answers in partners before sharing with the class. Have a student reread the student objective and ask the students to consider the differences between the two sources. Refer to the T-chart about primary and secondary sources and ask students if they would like to add more details now that they've read the two texts. Distribute the index cards for their exit ticket. Ask students to write which source they would rather use for general knowledge about how to elect a president. Have them explain their choice on their index cards. Group ELs with the same L1 and allow them to answer the question in their L1 or L2. Then, ask them to write their answer on their index card. Provide students with sentence starters and a word bank for their discussion. Ask ELs to reread the student objective either on their own or chorally with other students. 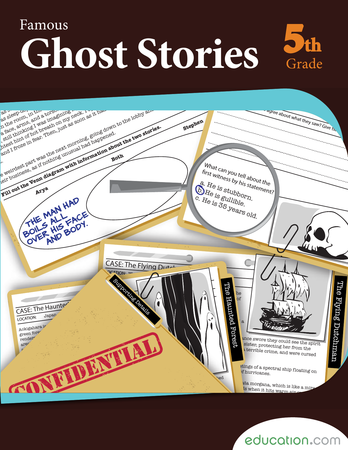 Fiction, non-fiction, and real-world skills collide in this workbook! Students will learn more about the lives and accomplishments of important explorers, and they'll demonstrate their knowledge through a creative writing assignment. Give your class a deeper understanding of theme with this art and poetry-focused lesson plan about theme. Students imagine a hypothetical interview with Malala Yousafzai, using their research skills to form and answer thoughtful interview questions.